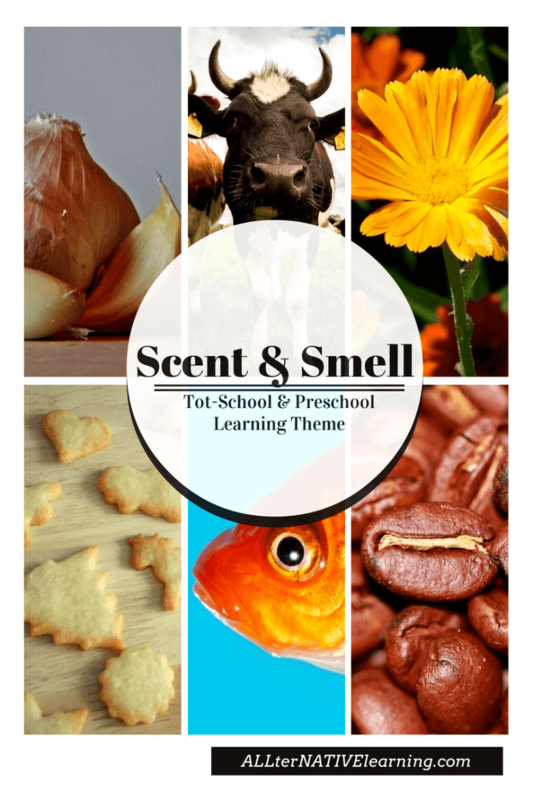 Scent and Smell are an important part of our daily lives, making it a fun and practical topic for tot school. Not only does the sense of smell involve the five senses, but it is also tied to our strongest memories. This means that what we smell even as babies, is tied to a memory! Though kids can smell before they can truly realize it in a technical sense, it take a bit to be able to understand smell since it’s somewhat abstract. That is why we chose to put it a little later in our tot school year. This week goes well with the previous theme of taste and kitchen because of the obvious connect that smell has with cooking and with how we smell food before we taste it. So that was the next logical step for us in our learning themes. However, this week was different in the way we structured it. There are lots of different kinds of smells and ways to interact with them and plenty of vocabulary to associate different types of smells; so that’s how we broke it up: smell (v.), fragrance, odor, scents in the kitchen, and smells of nature. This week we chose to take the weekend “off” as well :). There are a lot of different thing you can do without buying extra resources, but some fun additions you might consider would be Scratch & Sniff Stickers , some smell-based books (click images below), and Scented Markers . 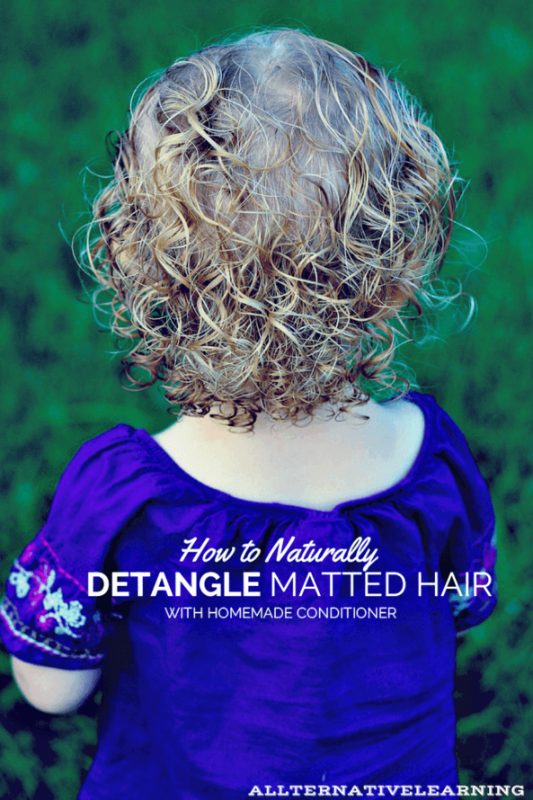 There is a great guide on CAUTION! Twins at Play’s blog that covers multiple ways to incorporate scents into your week of play. I highly recommend checking it out to give you some ideas and inspiration going into the week. You might even look into getting some Montessori Smelling Bottles to keep coming back to a fun, sensorial activity with oils and other fun scents. Use smell bottles and essential oils for a Montessori Sensory Activity like from the Natural Homeschool. Revisit the body parts unit and activities about facial features to talk about what the nose does. Explain that a fragrance is a sweet and pleasant smell. Go on a hike, finding flowers and plants that give off a pleasant odor. Make some play dough that incorporates a sweet fragrance like this apple play dough recipe at Danya Banya. Explain that an odor is an unpleasant smell. Visit a petting zoo and/or farm and talk about how it is stinky and why! We are not above talking about bodily functions in our home. In fact, my daughter is the first to point out a “toot”. So this meant talking about how toots and using the bathroom typically resulted in a stinky odor. We talked about animals like skunks that are stinky. Find different items in the fridge and ask your child if they are stinky or fragrant. Make a cute garlic craft like these garlic-skin ghosts from the Good Long Road after smelling the unique garlic scent. Bake something sweet and cook something savory, discussing the smells in the house as you do. Enjoy a fun sensory bin filled with coffee beans! Pick flowers, smell them and compare smells. Discuss the smell of outside after it rains. Find a unique smelling plant. Enjoy some scented water play activities. Find More Learning Themes Here.